Situated in Dewas, this hotel is 0.3 mi (0.4 km) from City Garden and 1.4 mi (2.2 km) from Chamunda Mandir. ISKCON Indore and Brilliant Convention Centre are also within 20 mi (32 km). Situated in Dewas, this hotel is 1.4 mi (2.3 km) from City Garden and 2.7 mi (4.3 km) from Chamunda Mandir. ISKCON Indore and Brilliant Convention Centre are also within 20 mi (32 km). 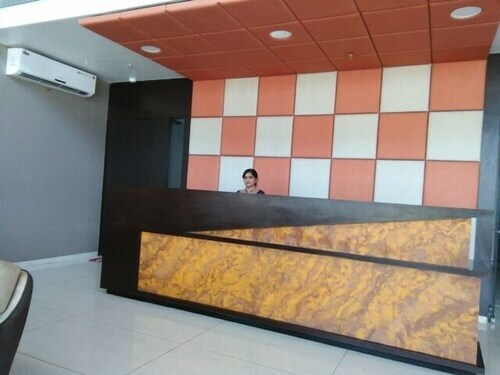 Situated in Dewas, this hotel is 0.9 mi (1.4 km) from City Garden and 2.1 mi (3.5 km) from Chamunda Mandir. ISKCON Indore and Bombay Hospital are also within 20 mi (32 km). 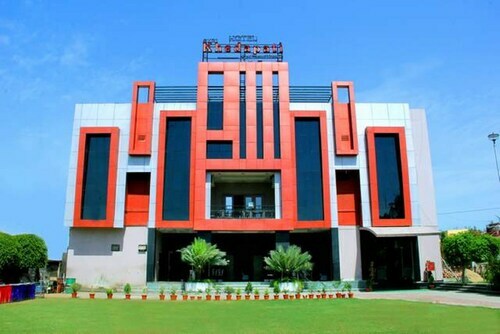 Set in Dewas, this family-friendly hotel is 4.6 mi (7.4 km) from City Garden and 5.8 mi (9.3 km) from Chamunda Mandir. ISKCON Indore and Bombay Hospital are also within 20 mi (32 km). How Much is a Hotel Room in Dewas? Hotels in Dewas start at $27 per night. Prices and availability subject to change. Additional terms may apply. Travelocity users thinking about wandering in Dewas, should think about pre-booking a room as early as possible, because you won't find an abundance of lodging choices near the main area of Dewas. 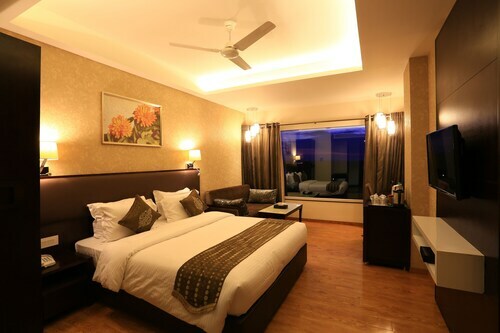 If you and your family plan to stay within a short drive from central Dewas, the Vista Rooms at Nandan Kanan (Indore) is an excellent Travelocity-listed hotel. The Radisson Blu Hotel Indore is around 17 miles (27 kilometers) from central Dewas. Or, alternatively, the Fortune Landmark Indore is situated 17 miles (28 kilometers) away. The Country Inn By Carlson-Indore along with the Lemon Tree Hotel, Indore are two more Travelocity-listed hotel options in Dewas. Once you and your family have thoroughly explored Dewas, why don't you explore a little bit more of the area? The North India area is home to plenty of scenic and cultural delights waiting to be explored. North India boasts beaches, coastal plains, forests and jungle, and popular visitor sights include ruins, traditional villages and old towns. In this part of India travelers may also take up the chance to partake in skiing and cross-country skiing. 20 miles (35 kilometers) away from Dewas, you will find Indore, where visitors can enjoy Lal Bagh Palace and Central Museum Indore. The Best Western Plus O2 and ZO Rooms Amrit Tukoganj are just a handful of the Travelocity-recommended short and long-stay options in Indore. For another option, head to Ujjain, 20 miles (35 kilometers) northwest of Dewas, where you can pick from the OYO Rooms Hari Phatak Over Bridge and OYO Rooms Indore Ujjain Road III. While in Ujjain, set aside a little time to check out the Mahakaleshwar Mandir and Harsiddhi Mandir. Give yourself a fix of local sport by making the pilgrimage to Nehru Stadium, which is 20 miles (32 kilometers) to the southwest of Dewas. 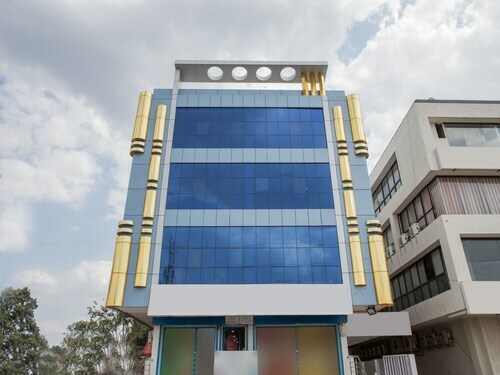 Wise travelers who enjoy the convenience of locating a hotel not far away, book a room in the Ginger Indore or Sayaji Hotel. Located 20 miles (35 kilometers) from the heart of Dewas is Devi Ahilyabai Holkar International Airport. Stay nearby in Travelocity-listed accommodation at ZO Rooms Shivani Gangwal Bus Stand or Vista Rooms At Dhar Road.